The US Nuclear Regulatory Commission (NRC) has approved a licensing amendment for a number of Orano's NUHOMS dry storage systems, increasing the types of fuel they are permitted to store. The licence amendment allows the systems to store used nuclear fuel with significantly shorter cooling times– as little as two years– and higher decay heat, Orano TN said. 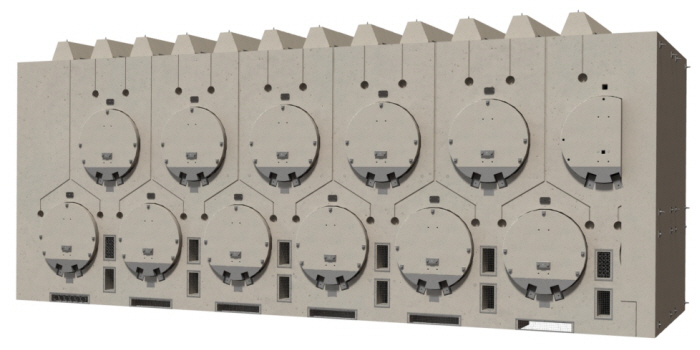 The reduced cooling time creates "significant operational flexibility" for transferring used nuclear fuel from storage pools to dry storage pads at reactor sites, Orano added. The most significant advantage is for reactors scheduled for permanent closure. These sites can now advance the fuel’s pool-to-pad transfer years sooner, reducing emergency planning requirements and costs, while enabling the site to accelerate plant decommissioning and achieve partial license termination, Orano said. The amended NUHOMS licence also authorises the canisters to store and transport used nuclear fuel assemblies with increased burnup levels, rod and assembly damage, higher enrichment content, additional advanced cladding materials, and new fuel assembly designs. Orano’s NUHOMS systems have been used in the USA for nearly 30 years, with installations at more than 30 sites around the country.